Getting well mixed paint is crucial to a good and consistent finish. Often the little consumables can over looked and can impeid the process, ranging from colour disparity and even drying times so why not stock up on our clever paint stirrers for peace of mind! 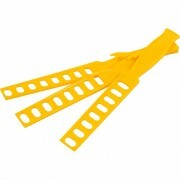 Great for use when dilu..
For removing and fitting upholstery, clips, trims, mouldings and wheel hubs. 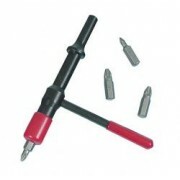 Do not confuse these with those 3" long soft plastic 'tools' you see around. These are large and made of glass reinforced resin so very strong yet unlikely to mark surrounding surfaces. 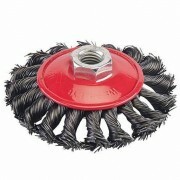 Great for popping off in..
Our very effective underseal removal brush fits on your grinder and blasts off old underseal. Saving on hours of scraping and anger Please note; this tool is as dangerous as it is effective. You will need full face protection, long sleeves and gloves. Think, 'hurt locker' levels. .. 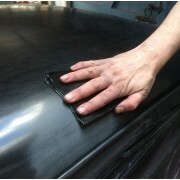 Wet and Dry is used for bodywork refinishing on vehicles to get a really fine surface prior to painting. You normally remove old paint or shape filler with the coarsest grade (120) then work your way down the grades to the finest (1200 grit), each removing the cut marks of the previous grade. 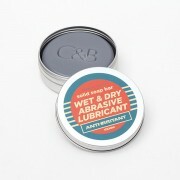 If you..
A specially formulated lube bar for use with 240 or finer ‘Wet & Dry’ when used wet. Keep in your water bucket and rub your abrasive across it each time you rinse. 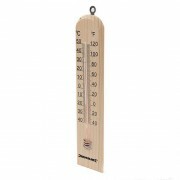 It reduces scratches significantly, lubricates the cutting and therefore speeds the sanding process and extends the life..
OK, so most of us can tell if the garage is too cold to work but it’s useful to know the ACTUAL temperature sometimes. Enamels don’t dry properly if its too cold and you end up with a tacky surface that can take weeks to go off for example. Aerosol primers can go tack dry on the surface ..
General Purpose Wire Brush heavy duty wire brush with brassed steel wire securely held in spine with comfortable grip handle. 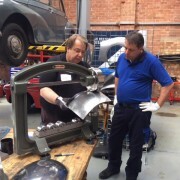 Nice because it is narrow so especially good for getting into corners when removing rust etc. 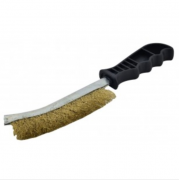 Ideal for removing rust from exposed threads prior to undoing. ..